Plot synopsis: At a space station serving as the jumping off point for travellers to the stars, its manager oversees the certification of potential colonists to determine their eligibility. Based on a short story first published in Galaxy Science Fiction magazine, in October 1950; and later in Theodore Sturgeon's short-story collection The Stars Are the Styx, in 1979.
Review: What works best in this episode is the human drama. The listener is presented with a colourful assortment of characters, each with his or her own feelings, desires and fallibilities, who interact with each other in interesting and believable ways. There is sadness in these characters, too, since most of them are willing to take a very risky chance on a trip to the stars, to escape the unfulfilling lives they have been leading on Earth, with 46% of travellers apparently failing to reach their destination. The fact that the man overseeing the space station from which they depart is nicknamed Charon - after the mythological character who ferries the dead across the river Styx to the afterlife - gives some idea of how desperate they must be. Also strong is that not everyone enjoys a happy ending, with the tale possessing quite a dark edge in places. However, what is weaker about the story are the more 'science fictional' elements, many of which don't make a lot of sense. The whole set-up simply lacks plausibility. First, if there is a certification process for colonists to undergo, surely this would take place on Earth, rather than sending people to a space station to wait around, for possibly months on end, before it is decided whether they are even allowed to travel. Second, the ships leaving the station each take only one pair of travellers, but what kind of crazy space colonization programme would provide what must be very expensive transportation for just two people? And at a rate of one couple per vessel, how quickly are colonies likely to be established? The other main problem with this episode is that its conclusion - SPOILER ALERT! - is a little creepy. Charon is described as being a fat, old man, yet the girl he gets with at the end sounds considerably younger, not to mention that she is supposed to be quite attractive; and the slightly uncomfortable feeling this produces is not helped by the fact that she goes by the childish name of Tween. Plot synopsis: A human expedition on an alien planet encounters an animal species with the ability to evolve at incredible speed. Based on a short story first published in Galaxy Science Fiction magazine, in March 1953. Plot synopsis: With the world facing imminent destruction, a scientist devises a scheme for preserving humanity's legacy by creating a race of microscopic humans in a droplet of water, for whom the two weeks the Earth has left will seem like twenty million years. Based on a short story first published in Galaxy Science Fiction magazine, in August 1952; and later in James Blish's short-story collection The Seedling Stars, in 1957.
Review: This is one of those episodes that takes a classic short story (a sign of its status is that it was chosen by the Science Fiction Writers of America in 1970 as one of the best science-fiction short stories published prior to the inception of its Nebula Awards in 1966) but, thanks to the changes made in adapting it as a radio play, loses some of what made the original interesting and memorable. On the plus side, the episode keeps the short story's examination of the tensions between scientific and religious belief, and in so doing, offers a thoughtful meditation on the nature of faith. It also retains the core of the plot, in which we are presented with the creation of a whole new type of human being, a microscopic variety that is adapted to living in water, together with its subsequent rise to civilization. However, what has been changed is the framing story surrounding this which, as a result, means losing an important aspect of the original. The radio version begins with the discovery that the Earth is about to be destroyed, because the sun is going to explode in two weeks' time, yet the written story is instead about a group of human explorers who crash land on an alien world. This is significant because the latter then becomes an exploration of the idea of 'pantropy' (a term coined by the short story's author, James Blish) which is the notion that the colonization of other planets might occur not through terraforming, changing alien worlds to become more like Earth, but by changing us, altering human biology so that we might adapt to the different conditions of these other planets. 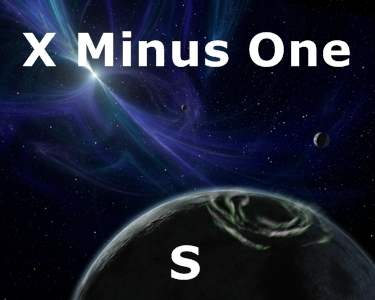 Yet here, because the X Minus One adaptation is set on Earth, all this is lost. The other major problem with the story - aside from the doubts one may have about the scientific plausibility of creating microscopic humans - is that the central conceit just doesn't make sense. If the Earth is going to be obliterated in two weeks' time, then regardless of how long this may seem to the microscopic humans, they are still going to be wiped out at the same time as us regular humans. As such, the scientist who comes up with the plan hasn't really done anything to preserve or prolong human civilization - all he has done is create another intelligent race of beings to be annihilated along with us. However, this is still an entertaining and thought-provoking episode, despite being inferior in some important respects to the source short story.